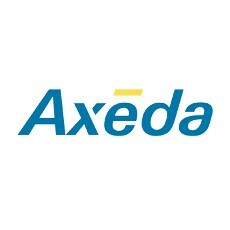 Axeda Corporation and Multi-Tech Systems today announced from Axeda Connexion 2012, a new alliance that will further reduce the cost and complexity of bringing complete machine-to-machine (M2M) solutions to market. Multi-Tech is a world leader in M2M communications products and solutions. Axeda is the leading cloud-based service and software for managing connected products and delivering M2M applications. According to recent findings from ABI Research, a key challenge for the M2M industry remains the complexity of developing, deploying, and managing M2M applications over the cellular network. The companies are directly addressing this challenge by combining Axeda’s cloud-based M2M application development and data management capabilities with Multi-Tech’s award-winning cellular modems to make device and asset management easier. “There has been a concentrated effort among the ecosystem of M2M providers to make the process of getting from concept to completion for M2M solutions shorter, less expensive, and more simplified,” said Keith Bartlett, vice president of business development, Axeda. In collaboration with AT&T, the companies will demonstrate how easy it can be to get a cloud-based M2M solution up and running at Axeda Connexion 2012 — the M2M industry’s premier annual event. A smart vending machine solution, which connects to the AT&T wireless network through a MultiConnect™ OCG-D open communications gateway device and sends live machine data through the Axeda® Platform will be on display. Attendees at Connexion will be able to view in real-time which vending items are the most popular, associated inventory levels, and total sales revenues. “Our collaboration with Axeda has been the critical success factor in the development of innovative, one-stop shop business management applications for M2M customers,” said Chris Hill, Vice President, Advanced Mobility Solutions, AT&T Business and Home Solutions. At Connexion, AT&T, Axeda, and Multi-Tech will also show a demonstration of an integrated M2M developer kit for cloud-based device and asset management, which the companies aim to have commercially available later this year. The kit brings three solution components together; the device, network, and application in a powerful way that allows companies to focus on their solution’s unique value without spending months of research and education to pull the M2M infrastructure pieces together on their own. Customers get proven hardware that meets a wide array of use cases, a network that handles the unique characteristics of M2M, and a cloud application platform that allows them to rapidly innovate and create value. “Through our alliance with Axeda and long history working with AT&T, we will be able to offer our customers a tightly integrated solution that will dramatically reduce costs and time to market,” said Jim Cairns, vice president of business development, Multi-Tech. The AT&T, Axeda, Multi-Tech demonstrations will be on display at Axeda Connexion 2012 (June 4-7 at the Boston Marriott Cambridge, Cambridge, MA). AT&T is the premier Platinum sponsor of the event. Visit http://connexion.axeda.com to register. Multi-Tech Systems offers the industry’s most comprehensive M2M (machine-to-machine) communications products and services portfolio available today. As a leader in the industry for more than 40 years, Multi-Tech’s reputation for reliability and innovative design is evident with 80+ patents, 20+ million devices being used by thousands of customers worldwide and certifications from more than 30 carriers and over 80 countries. Multi-Tech is certified by the WBENC as a Women’s Business Enterprise and by C-TPAT (Customs-Trade Partnership Against Terrorism). Visit http://www.multitech.com. Follow Multi-Tech on Twitter: twitter.com/MultiTechSys. Axeda provides the leading cloud-based service and software for managing connected products and implementing innovative M2M application — taking the cost and complexity out of connecting and remotely servicing the products of the world’s leading companies. Axeda customers use its M2M cloud service to deliver innovative M2M solutions and optimize their business processes with data from their connected products. Join our developer community at: http://developer.axeda.com and learn more at www.axeda.com.